Denver, CO, March 26, 2019 --(PR.com)-- Every once in a while a new product comes out that creates a stir of attention and a demand so high that retailers are having trouble keeping the products on their shelves. Bird Street Bistro cook and serve foods for companion birds is literally flying off the shelves everywhere. Joanie Lindquist, a Nevada owner of two cockatiels, Scooby and Cookies, and a Sun Conure, Willie uses Bird Street Bistro products and says she is happy she found a quick cooking food her birds are crazy about. “Once bird owners try Bird Street Bistro products and see how excited their birds get about eating them, how healthy they are for their birds, and how amazingly easy they are to prepare, they won’t settle for anything else” says Lindquist. Another reason this up and coming company is taking the world’s bird food industry by storm may be fuelled by their corporate stance that bird health and nutrition come first before everything. A stance that companion bird owners seem to resonate with. With many avian nutrition products on the market avoiding more expensive organic ingredients and using less expensive ingredients such as feed grade fillers and flavorings, or charging much higher prices for products that incorporate organic ingredients, Bird Street Bistro seems happy being an outlier in that the company cares more about using the highest quality natural ingredients than taking one more dollar from customers. 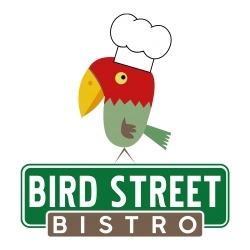 Bird Street Bistro also donates food to parrot rescue shelters, from Colorado to Florida. The great reviews on Bird Street Bistro products keep coming in, sending a message to Bird Street Bistro that they are on the right track. Bird Street Bistro is a privately held company based in Denver, CO. Since its start in the industry in 2010, “Bistro Blends” for bird companions has become the gold standard in quality bird food by only using freeze dried and air dried natural fruits and vegetables and healthy grains – no added fillers, preservatives or sulfites. The wonderful variety of flavors and textures in their blends encourages healthy avian foraging instincts that Macaws, African Greys, Cockatoos, Amazons, Conures, Parakeets, Cockatiels, among others birds, can enjoy. Avian experts recognize that parrots need a variety of healthy foods in order to prevent serious health problems. Bird Street Bistro is an all-natural bird food formulated to give your bird the nutritional boost necessary for a long and healthy life.